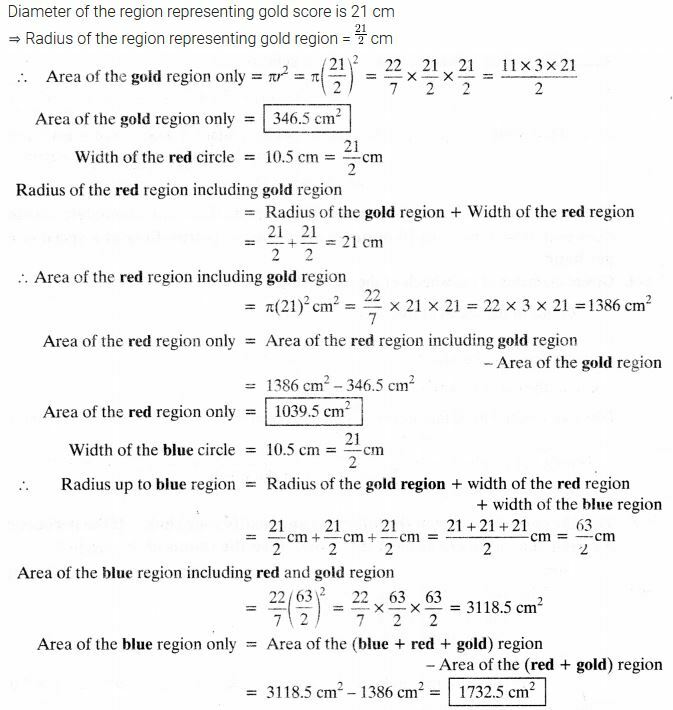 Get Free NCERT Solutions for Class 10 Maths Chapter 12 Ex 12.1 PDF. Areas Related to Circles Class 10 Maths NCERT Solutions are extremely helpful while doing your homework. 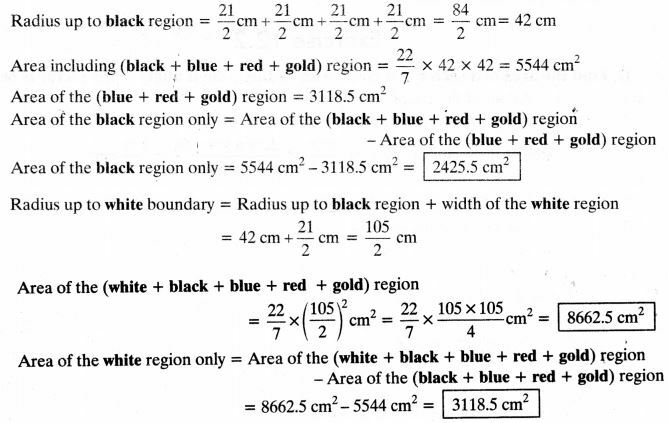 Exercise 12.1 Class 10 Maths NCERT Solutions were prepared by Experienced LearnCBSE.in Teachers. 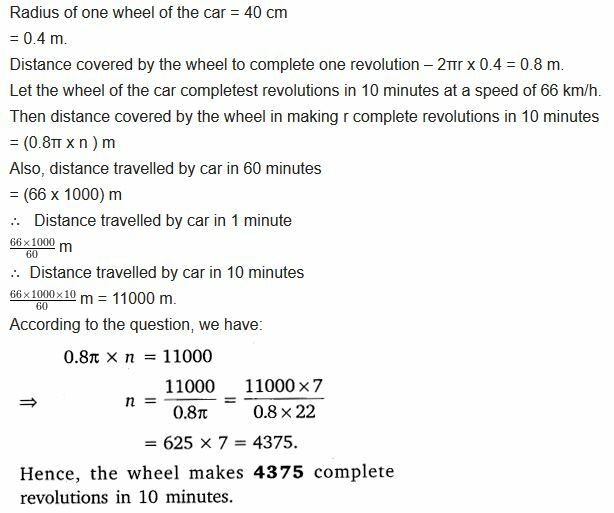 Detailed answers of all the questions in Chapter 12 Maths Class 10 Areas Related to Circles Exercise 12.1 provided in NCERT TextBook. The radii of the two circles are 19 cm and 9 cm respectively. 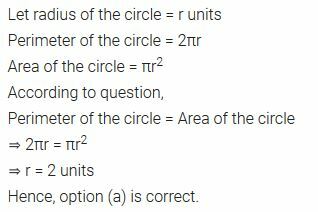 Find the radius of the circle which has a circumference equal to the sum of the circumferences of the two circles. You can also download the free PDF of Ex 12.1 Class 10 Areas Related to Circles NCERT Solutions or save the solution images and take the print out to keep it handy for your exam preparation. The given figure depicts an archery target marked with its five scoring regions from the center outwards as Gold, Red, Blue, Black, and White. The diameter of the region representing Gold score is 21 cm and each of the other bands is 10.5 cm wide. Find the area of each of the five scoring regions. 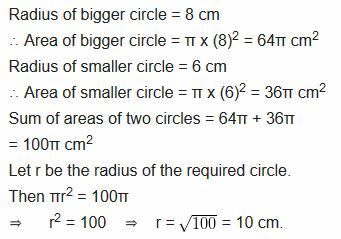 We hope the NCERT Solutions for Class 10 Maths Chapter 12 Areas Related to Circles Ex 12.1, help you. 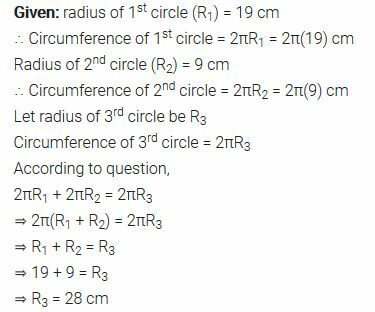 If you have any query regarding NCERT Solutions for Class 10 Maths Chapter 12 Areas Related to Circles Exercise 12.1, drop a comment below and we will get back to you at the earliest.